When it’s time to relax and kick up your feet at the end of the day, you’ll want to do it in style. 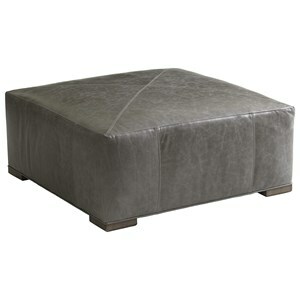 Enter the Quick Ship Covington Leather Ottoman. With classic British design in mind and modern day comfort at its heart, the Covington Leather Ottoman is the perfect piece for practically any home décor. 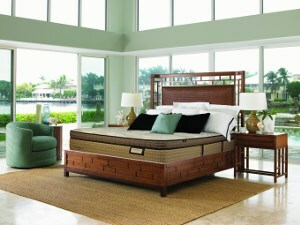 The simple two-tier design is given a spot of sparkle at its base where an old brass nailhead trim runs the boarder. The handsome leather is a luxurious covering for the ultra down seat cushion top, a completely comfortable place for your feet to receive the royal treatment. The four decorative wood legs include caster wheels, adding even more functionality to the ottoman as it can easily move from place to place whenever needed. Absolutely perfect just the way it is, the Covington Leather Ottoman is available only as shown. For a little more style and comfort, pair this ottoman with the Covington Leather Armchair. The Quick Ship Upholstery Quickship Covington Leather Ottoman by Lexington at Baer's Furniture in the Ft. Lauderdale, Ft. Myers, Orlando, Naples, Miami, Florida area. Product availability may vary. Contact us for the most current availability on this product. Fabric Options Quick Ship items are available only as shown. For custom orders, look into Lexington's custom order program. Designed to create a full assortment of products within a condensed time frame, the Quick Ship Program offers a select variety of maximum styled and high quality items. Luxurious leathers and flawless fabrics are married with specific frames to establish attractive character and allow for a quicker lead time. Contact your dealer for availability. 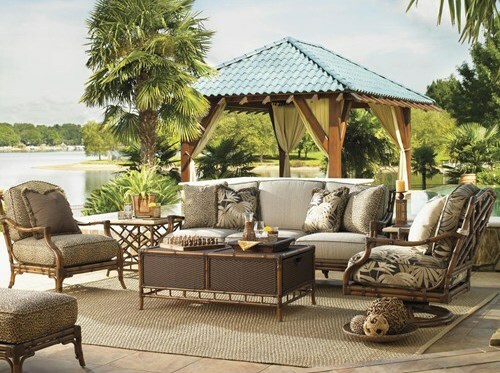 The Quick Ship Upholstery collection is a great option if you are looking for Traditional furniture in the Ft. Lauderdale, Ft. Myers, Orlando, Naples, Miami, Florida area.